*Note not all machines come equipped with above features. Please consulate your local dealer or users manual for standard equipment on each model. 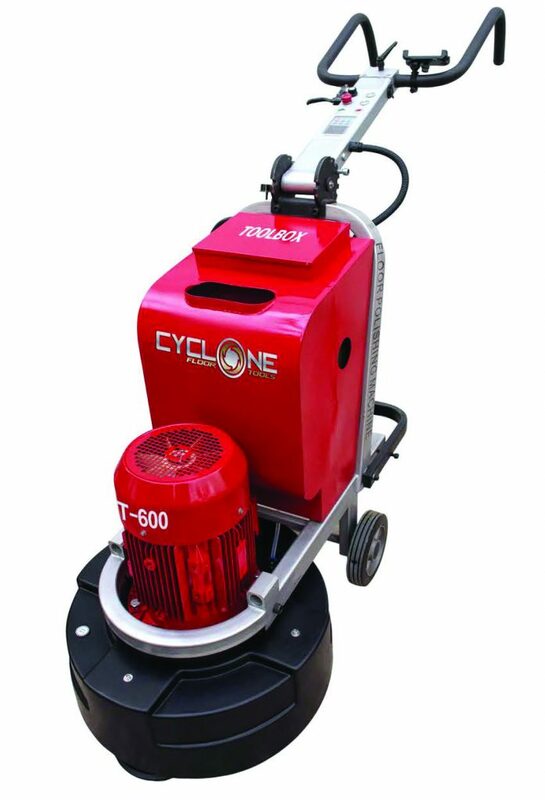 Cyclone’s line of all gear grinders and polishers use helical gear drive, just like your car’s transmission to produce high torque machines with no wear and less noise. 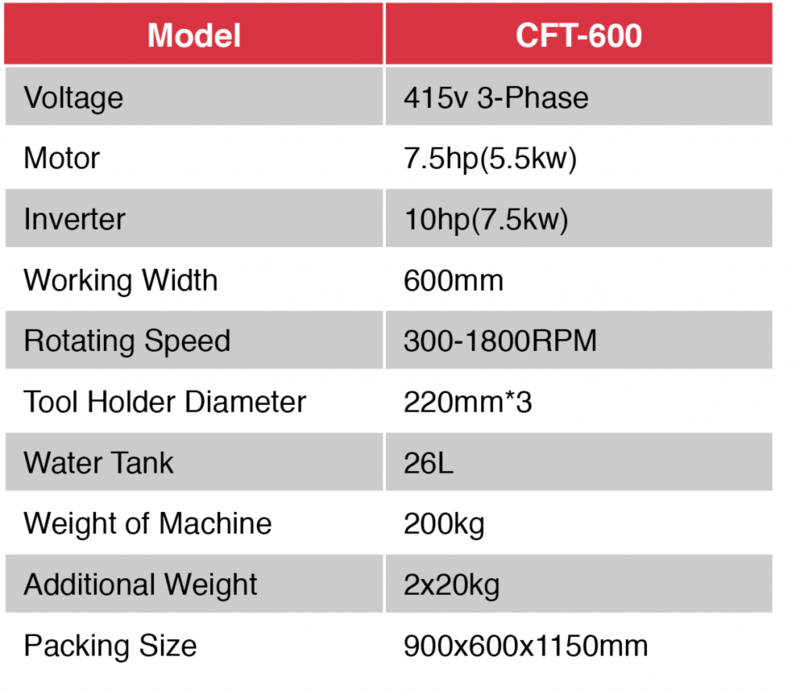 CFT-860 is a very powerful machine with a lot of torque for heavy grinds and removing epoxy coatings and glues. 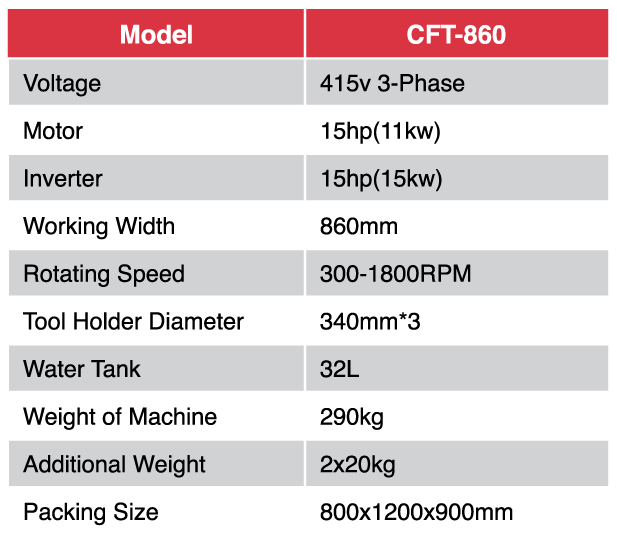 This is the ultimate choice when it comes to high performance and efficiency. 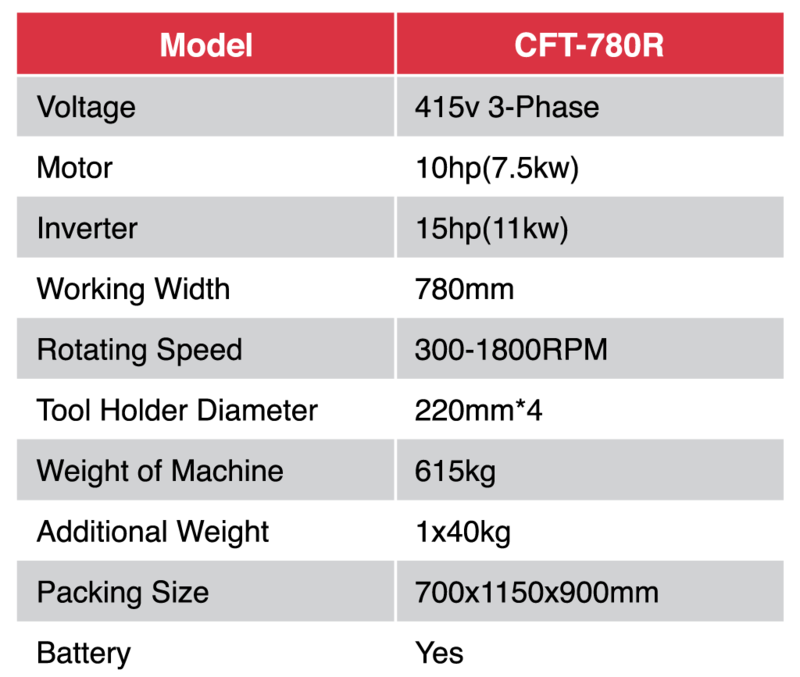 CFT-760 is very powerful, yet easy to operate. Its durable cross grinding planetary plates offer smooth operation with high efficiency. 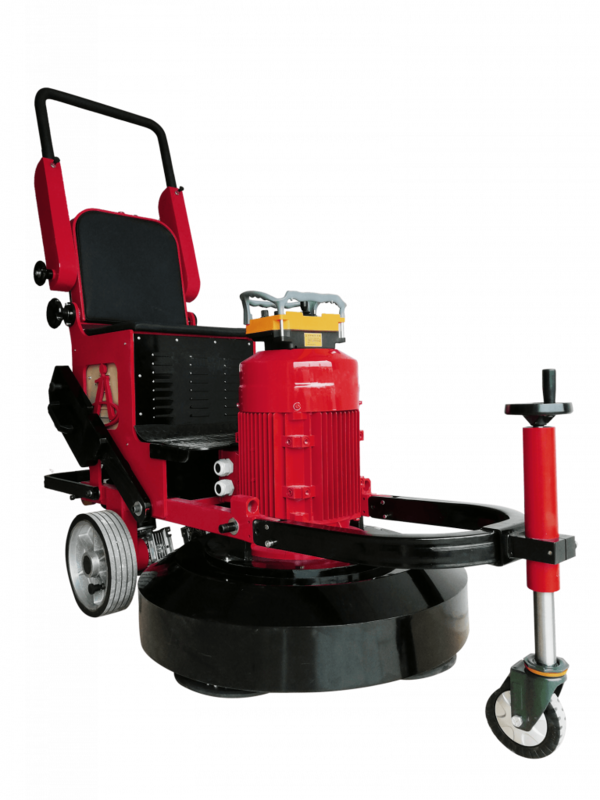 Equipped with a heavy duty motor and variable speed control, making it an excellent performer for concrete and stone grinding or polishing. 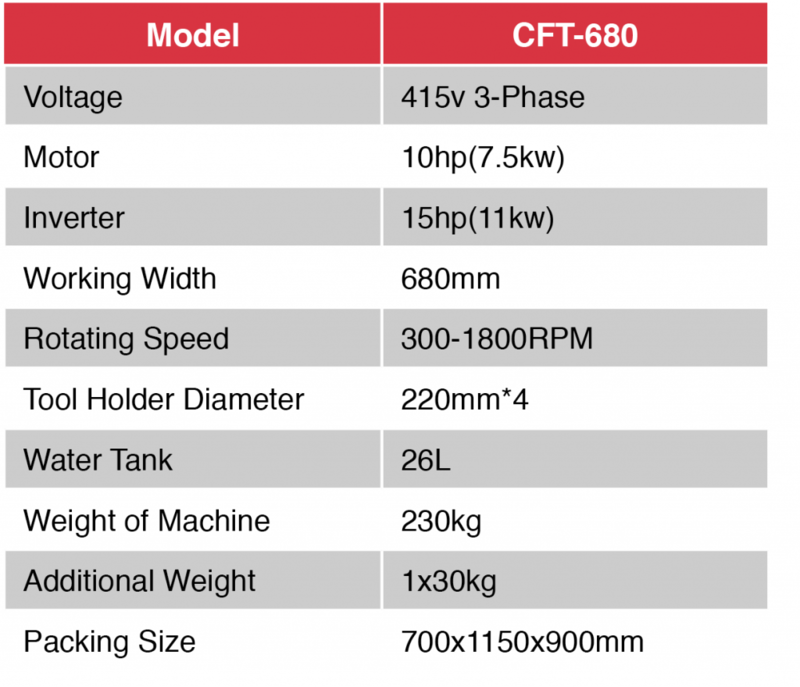 CFT-680 is a large scale integrated grinding and polishing machine that uses all gear rotation and high powered motors. 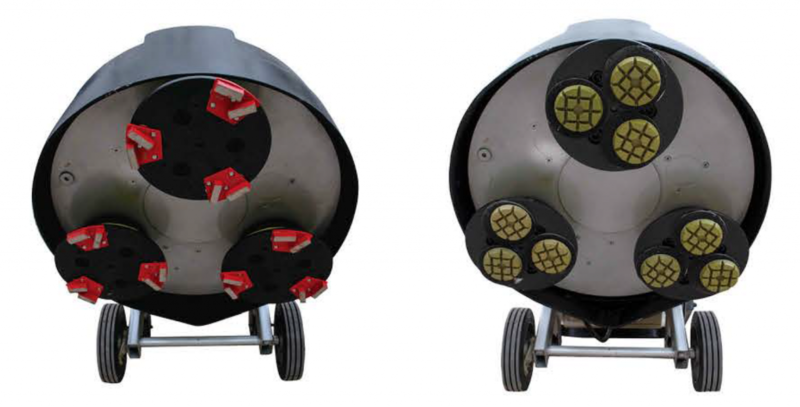 The 3 head grinder gives you up to 30% more effective grinding and stripping, resulting in a more level surface. 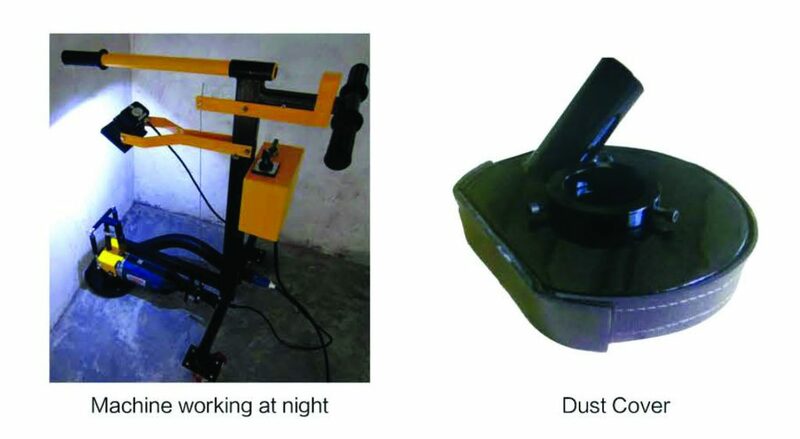 With 3 grinding heads, operation of this machine provides better handling and ease of operation. 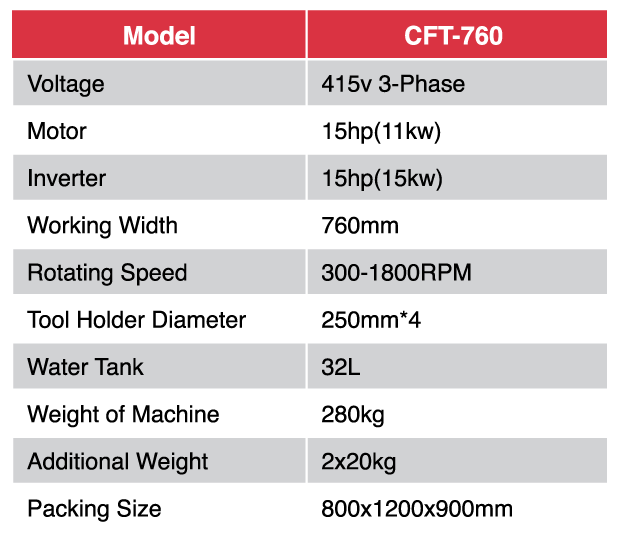 CFT-600 is the perfect mid size planetary grinder with a huge grind area for its size. A high standard of engineering gives the heads better pressure resulting in better grinding. 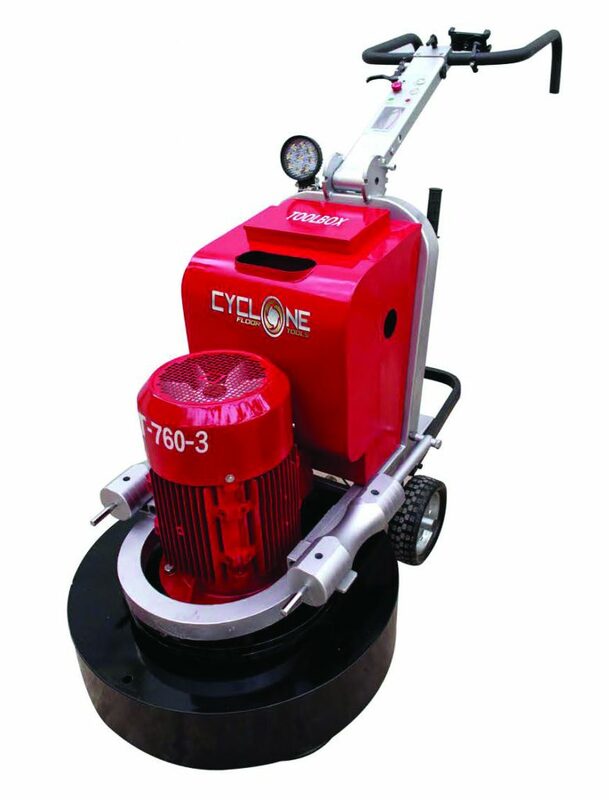 The machine can be used for coarse grinding, surface preparation and maintenance. 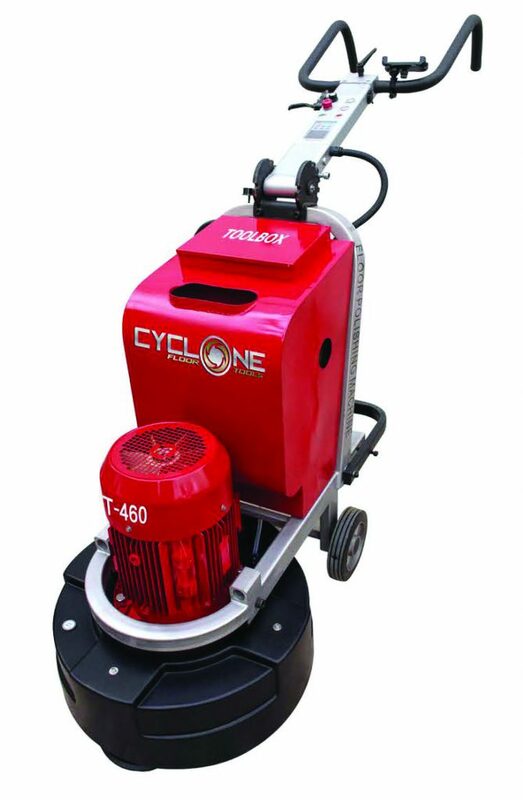 CFT-460 is a great floor grinder for smaller jobs for homes, offices and single rooms. 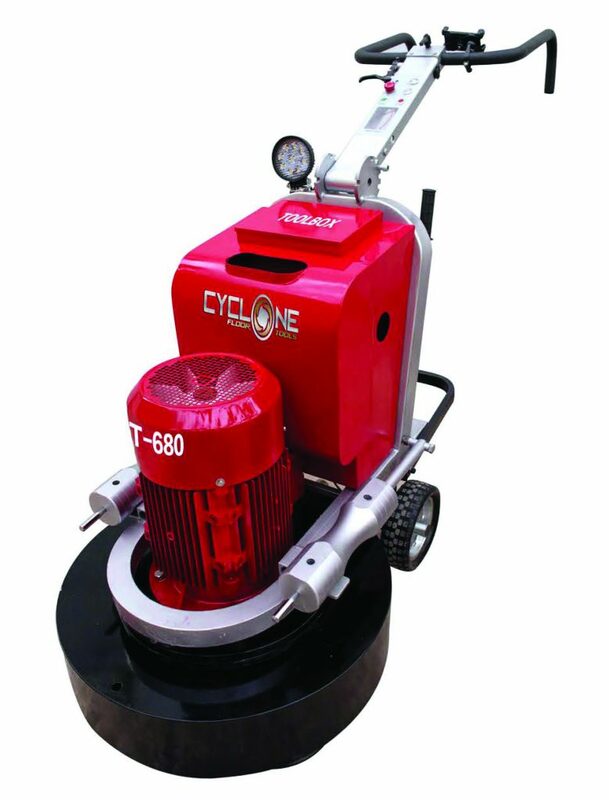 This machine can be used for coarse grinding, maintenance and polishing. 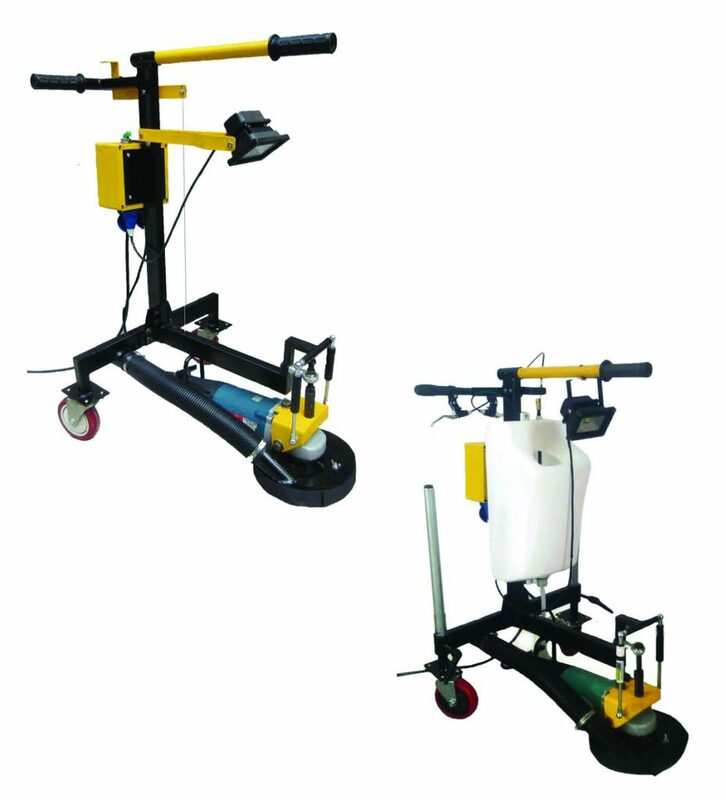 In addition, this machine can remove coatings like concrete, natural stone, terrazzo and paint. 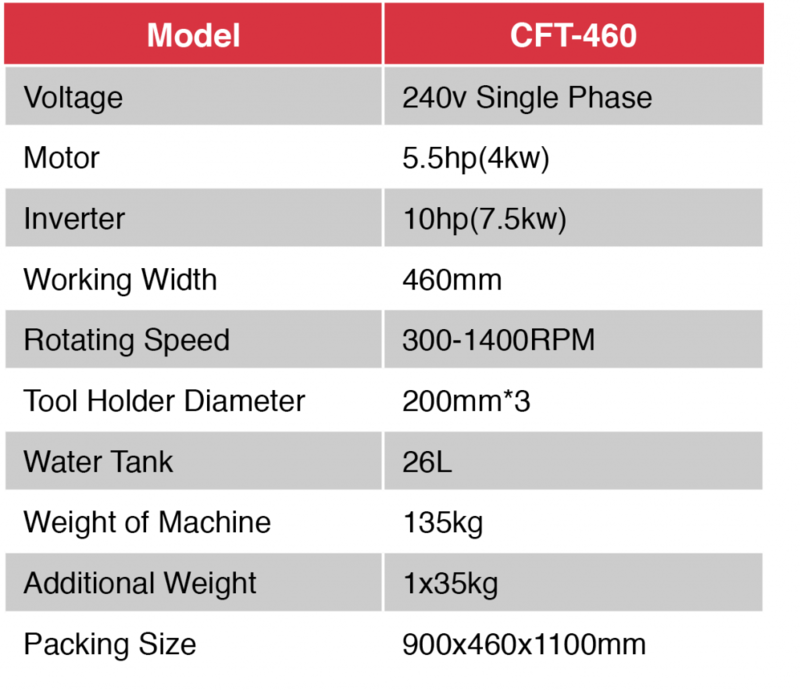 CFT-430 | CFT-300 | CFT-250 These small grinders are designed to cover more meterage in a shorter amount of time, with less effort, resulting in increased productivity. 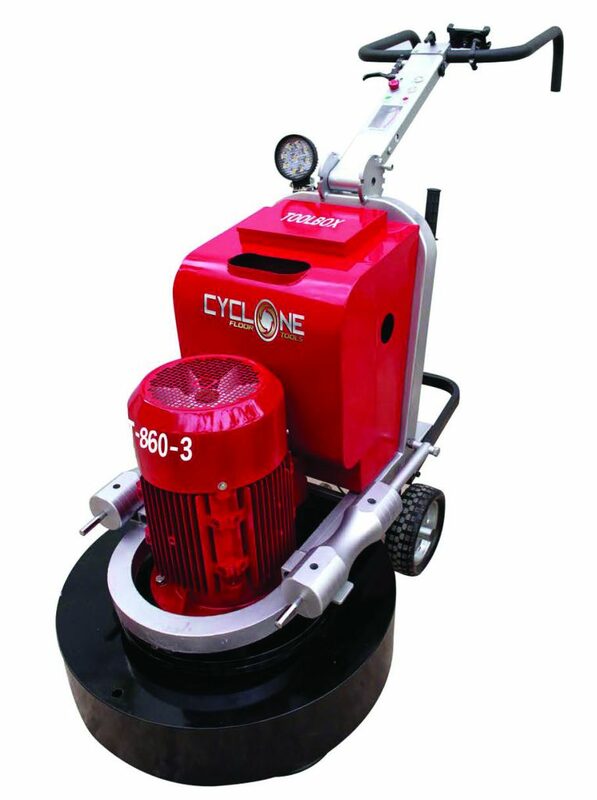 The edges are one of the least desirable aspects of any floor preparation process, but these machines perform effortlessly along edges to give a far better floor finish. CFT-180 (FRAME) This frame attachment for hand held grinders gives better access to edges and corners that big grinders and polishes can’t reach. 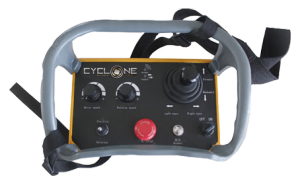 Its ergonomic design allows the user to grind in an upright position, helping to eliminate fatigue, backaches and job site injuries. 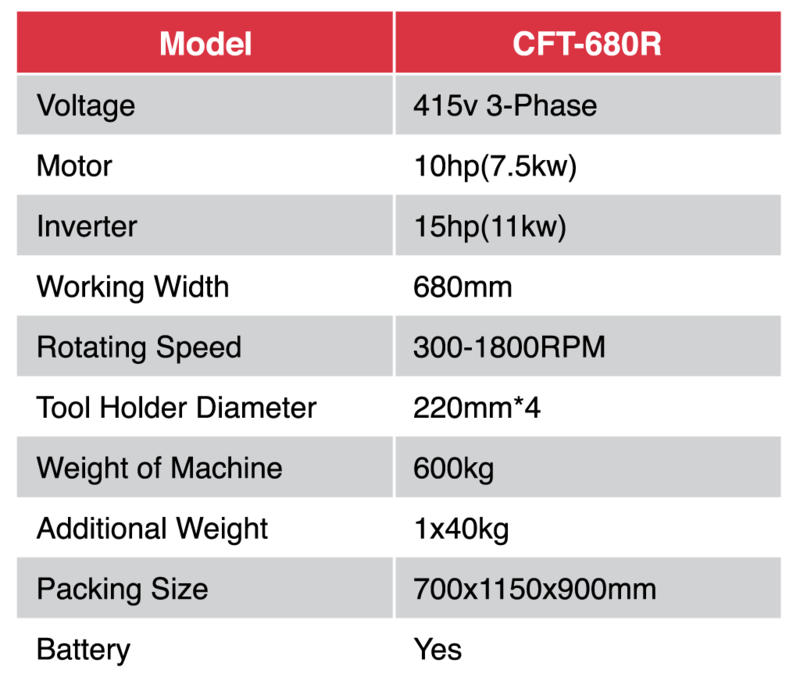 CFT-680R This machine with its high tech grinding technology gives a unique balance between power and tooling speed efficiency. 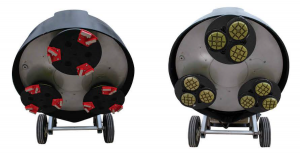 With the patented four disc planetary head, it stands out from other machines. 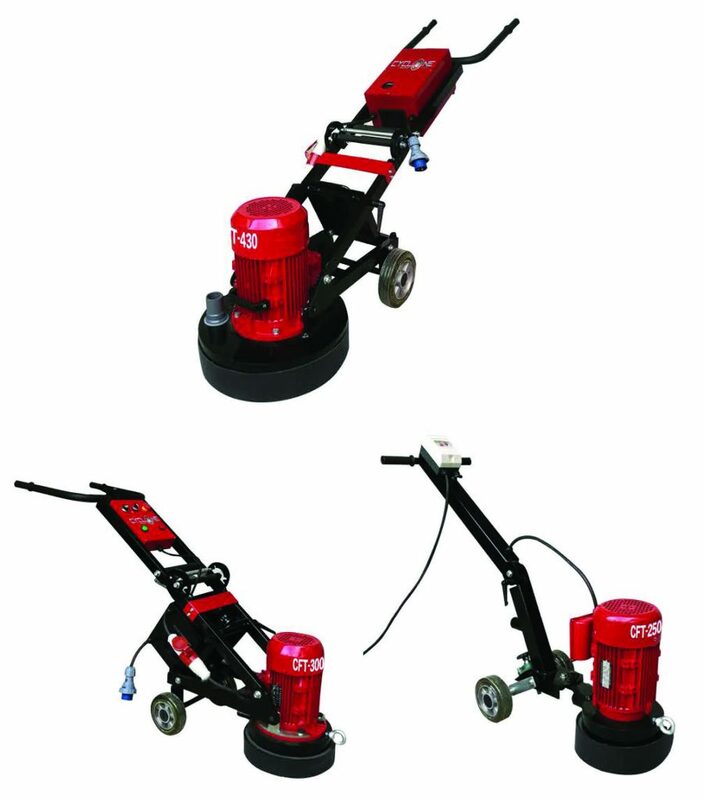 It provides users unprecedented control and performance from pre-treatment, grinding and polishing of concrete flooring to stone repair and polishing. giving you a greater area for grinding and polishing without all the hard work. loading and unloading at the job site. Ask your local distributor for a demonstration on this fantastic machine. 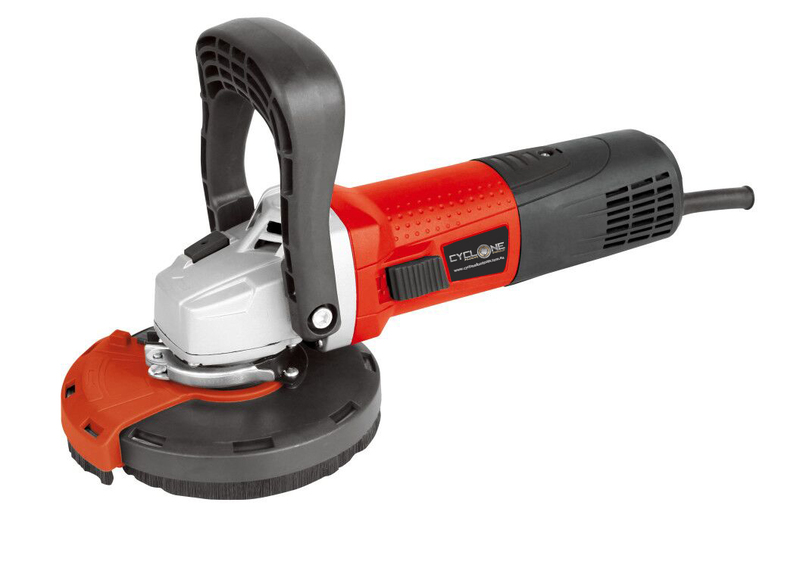 The CFT-125-5 Angle Grinder gives you the flexibility to achieve a variety of applications, including epoxy removal and grinding. ​The spindle lock allows for quick and easy disc changes, while the option of three different handle positions gives you added versatility, comfort and control no matter​ what task you are working on. User safety is increased with the enclosed cutting guard and lock off switch which prevents unintentional start up. 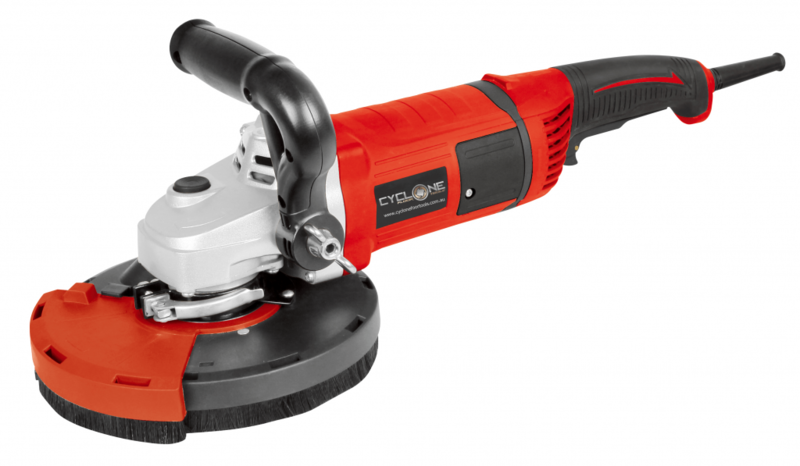 The CFT-180-7 Angle Grinder gives you greater performance for a variety of applications, from removing epoxy to grinding. With perfect ergonomics thanks to the trigger switch and the small grip dimension, this gives the user better control. It has exceptional speed stability under load, enclosed cutting guard and lock off switch, making it an ideal choice for any job. preparation across the spectrum of the market. efficiency, quality and customer satisfaction.